I created this resources page to help you with deciding what tools, services, and sites to go to and use for your wedding photography business. I personally know how stressful and frustrating it is to make a choice on what to use or buy. With all the tools and services available nowadays, it's really easy to get overwhelmed. Hopefully, this page will ease your mind a bit. Remember, just as important as what you use is how effectively you use it, and always do your research before you make any monetary investment. That being side, if you're a wedding photographer and curious about exactly what I use to run my business, this page has pretty much everything. As always, if you have any questions, please feel free to email me. Thanks! Disclaimer: Below each of the products listed you will find an affiliate link. If you decide to purchase these products and services through it, I will receive a small commission (thank you!). All the money generated from these affiliate links goes directly back into my efforts to help you become a successful, full-time wedding photographer. 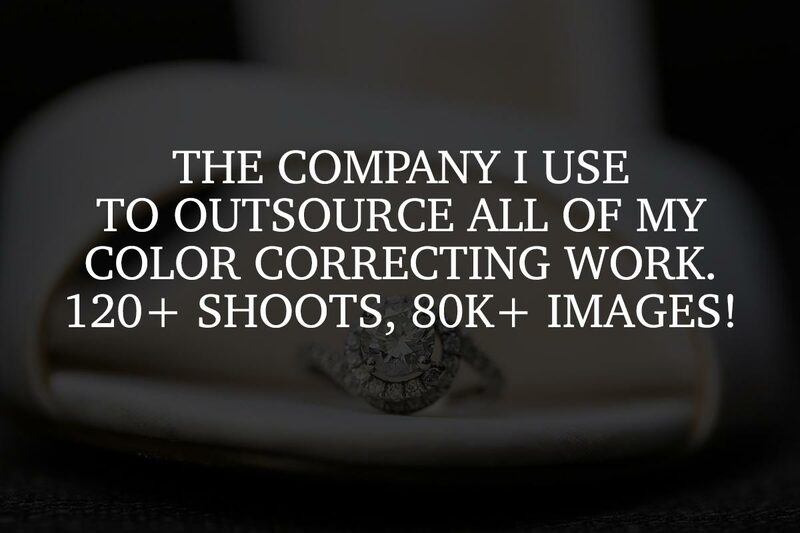 How else could you more effectively use the time that you currently spend color correcting in your business? Since May of 2016, I’ve been outsourcing the work to what I think is the best color correcting company for photographers and it’s been the most significant positive change to take place in my business. It’s opened up so much more time for me to work on other aspects of my business and my wedding photography educational efforts, as well as spending time doing other things I love. I want to share with you why I can’t live without their services and the straightforward process of working with them - from culling your images to uploading them as smart previews, then reviewing the images once they’ve been color corrected. This is one of the best color correcting companies for photographers because they won’t charge you anything unless you’re completely satisfied and will edit to suit your style. They’ll do everything from vignetting and cropping to noise reduction, HSL correction and sensor dust removal, many of which can’t be batch edited and need to be looked at individually. I’ll also share with you a special link to help you get started, which includes a promo offer of 10% off their already affordable prices. Watch my in-depth review video of the color correcting company I use! As a full-time wedding photographer, online educator, and a new father, I’m always looking for ways to make my business run more efficiently so I have more time to spend doing other things that I love. Which is why the studio management software Táve has been such a game changer in my business. From keeping track of leads and bookings to monitoring my emails, setting daily tasks, and evaluating my profits and expenses, it’s a one-stop destination for managing all aspects of my business. In this Táve review video, I’ll share with you some of the criteria that I look for in a studio management software, including the essential features such as managing leads and bookings, financial monitoring and the ability to get a bird’s eye view of your data across multiple months or years. Not only will Táve help you to run your business more efficiently and effectively but it offers an excellent client experience, with individual portals where they can access their contracts, proposals, and questionnaires. Everything is streamlined with Táve so that you never miss a beat, ensuring your clients are well looked after every step of the way and even helping me book clients without having in-person meetings. 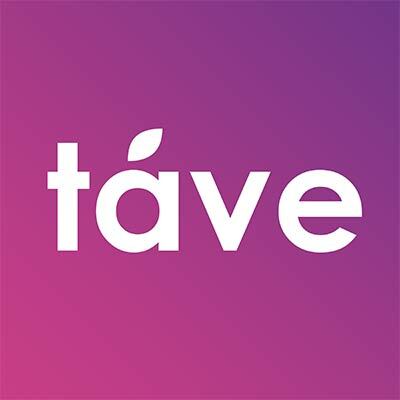 If you’re interested in taking your business to the next level and having the best client management software to help you manage all the details, then Táve is for you. Watch my in-depth review video of Táve! Slideshows are now the most powerful means for me to market my wedding photography to prospective couples, and the testimonials from my past clients speak for themselves. They can draw on the emotional heartstrings and help a couple relive their wedding day in a way that a blog post or gallery just can’t and that’s why they’re so effective. 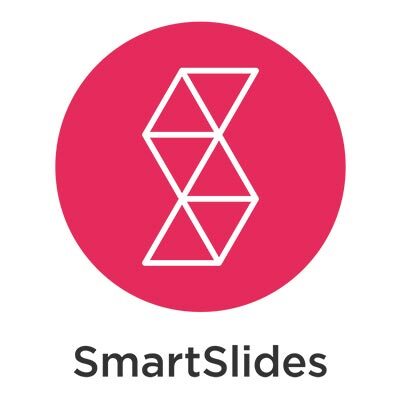 In addition to being simple to use, SmartSlides can be branded to your business so that it feels like its part of your website and it offers a great selection of royalty free songs to fit the style and ambiance of the wedding. In this SmartSlides review, we’ll take a behind-the-scenes look at just how intuitive the software is to use and how you can create gorgeous slideshows in a matter of minutes. Drag and drop images into the order you prefer, select the duration that they’re displayed and set it all to songs that reflect your brand and your couple. The software is highly responsive and best of all, it’s fun to use. I’ll also demonstrate how I easily share slideshows with brides and grooms, as well as on my website and my social media pages. Watch my in-depth review video of SmartSlides! For the past decade, my go-to album proofing software has been AlbumExposure and in this AlbumExposure review video, I’ll share with you the features and attributes that I think makes it such a standout. From its ease of use to the intuitive backend and gorgeous designs, I’ll give you an introduction to the elements of AlbumExposure that I love. Add music to create slideshows and have your own custom domain name. Once you’ve created your albums, you can easily export them and send links for couples to view. Keep track of changes without losing older album versions and receive email notifications every time your couple requests a revision. In addition to offering a simple and stunning way to share album designs with my couples and receive their feedback in a user-friendly manner, AlbumExposure can also be utilized to market your wedding photography business to prospective clients. Brand your AlbumExposure account for your wedding photography business and showcase to brides and grooms exactly what they can expect if they book you as their wedding photographer. Watch my in-depth review video of AlbumExposure! When you start researching online about photography gear before purchasing a new body, lens or accessory, there’s just so much information out there that it can be completely overwhelming. Here I want to share my personal recommendations after a decade of working as a professional wedding photographer and exactly what works for me. I understand that each individual’s situation is different and a lot of it comes down to trial and error to find a setup that suits your purposes. But when it comes to durability, practicality, and quality, this is my pick of the crop. These are all products that I’ve personally used for years and can genuinely vouch for, and they are included in the kit that I take to each and every wedding I photograph. If you’ve got any further questions about particular products listed here or my personal experience with them, don’t hesitate to get in touch with me. The camera equipment on this list has been my setup for both wedding and engagement photo shoots for the past 4-5+ years. For me, quality of images is of paramount importance, coupled with efficiency and practicality when it comes to a day of running around capturing every aspect of a couple’s special day. These products enable me to come away with the best images possible while ensuring I can stay mobile and work efficiently. I’ve been with Canon from day one (so can’t vouch for the other big brands like Nikon or Sony), but I’ve always found their gear to be absolutely trustworthy and have seen no reason to change. I find that this setup allows me to capture the range of images that fit my style of wedding photography. This full-frame camera body produces exceptional images across the whole dynamic range of color and exposure, with a fantastic high ISO performance in low-light conditions. They’re relatively light and I always carry two on my body during wedding shoots, one with a 24-70mm lens and the other with a 70-200mm or macro lens. I’ve had mine for more than 3 years and they’ve proven to be diligent workhorses, taking more than a million images with consistent and outstanding quality. Please click on the image above or this link to purchase the Canon EOS 5D Mark III Camera Body. I don’t really trust third-party batteries and have always stuck with Canon’s, which I find highly reliable and durable. I own 10 and make sure each and every one is recharged before weddings, although I’ll usually only go through about 3 on the day. Please click on the image above or this link to purchase the Canon EOS 5D Mark III LP-E6 Batteries. This professional Canon L lens has to be my favorite workhorse lens and I keep it on one of my 5D bodies throughout each and every wedding. It allows me to capture a huge range of images, from wide-angle shots across the ceremony to close-ups of the couple. It’s a really fast lens that performs well in low-light conditions, and after taking it with me around the world, it’s proven itself to be a durable and reliable. Please click on the image above or this link to purchase the Canon EF 24-70mm f/2.8L II USM Lens. This professional L lens is usually on my other camera body for around 95% of wedding shoots and has proven to be a really sharp, high-quality telephoto lens. I use it for close-up shots throughout the day, particularly if I’m shooting from the back of the aisle during wedding ceremonies or capturing the bride and groom on the dance floor. It’s great for portraits as it blurs the background with a beautiful bokeh and its image stabilization capability enables me to lower the shutter speed, allowing more ambient light into the images without them being blurry. Please click on the image above or this link to purchase the Canon EF 70-200mm f/2.8L IS II USM Lens. This is my go-to lens for all jewelry shots, creating a larger-than-life feel and making the details of rings, necklaces, bracelets, and earrings super crisp and colorful. Because it’s a fixed focal-length macro lens, it does require a steady hand, but the results are superb. It also makes for a wonderful portrait lens and is my backup telephoto, if anything happened to my 70-200mm on the wedding day. Please click on the image above or this link to purchase the Canon EF 100mm f/2.8L IS USM Macro Lens. So I might only use this lens for around 10-15 minutes on the wedding day, but when I do it truly shines. I just love it for capturing portraits of the bride in her getting ready room, when I get her to sit on the ground and look up towards the camera. The shallow depth of field blurs the background beautifully and creates an amazing bokeh, and it really makes the bride’s eyes pop with a sharpness and color that is gorgeous. Because its focusing is slow, the 85mm lens can be tricky to photograph moving subjects, and while it’s my least used lens on wedding days, the images it produces are absolutely stellar. Please click on the image above or this link to purchase the Canon EF 85mm f/1.2L USM Lens. You can never underestimate the importance of your memory cards as they are holding a lifetime of memories for your clients. I’ve found SanDisk to be a really reliable and trustworthy brand over the last decade and always carry around a dozen memory cards in a mixture of 32GB and 64GB. This is more than plenty for a wedding (even multi-day ones), with a 32GB card holding around 1500 images shot in RAW format. But having a reliable memory card brand is only half the matter, make sure they're always on you (or somewhere extremely safe) when you're shooting! Please click on the image above or this link to purchase the SanDisk Extreme PRO 64GB Compact Flash Cards. While I do own roller cases for my gear, on the wedding day I just find a backpack to be much more practical and the Think Tank Photo Airport is fantastic. I’m often running up and down stairs, climbing up hills and through narrow hallways, and the backpack performs in all situations. It also allows me to have both hands free to hold both my cameras (or help hold the bride’s bouquet), rather than having one confined to a roller case handle. The Airport Essential fits all of the gear I need throughout a wedding day shoot, including camera bodies, lenses, flashes, and accessories. Over the years I’ve stuck with Think Tank bags; they've proven to be very reliable an durable, with high quality zippers, compartments, and security features, not to mention top-notch customer service. Please click on the image above or this link to purchase the Think Tank Photo Airport Essentials Backpack. This messenger bag swings over my shoulder and allows me to be a little more mobile in situations where I don’t need a full backpack. It can fit all of my essentials, including two camera bodies, a few lenses, and flashes, and because it doesn’t appear as a camera bag, it offers an added element of security in crowded public places. I use it for all e-sessions when the backpack would just be overkill, and it’s also great on the wedding day if I'm heading into a hotel to capture the getting ready or a church for the ceremony, and want to leave the bulk of my gear in the car. Please click on the image above or this link to purchase the Think Tank Urban Disguise 70 Pro V2.0 Shoulder Bag. This is the latest, top-of-the-line mobile flash unit from Canon, which can be used on all of their camera bodies. Mine have had a beating over the last three years since I bought them and have proven to be really durable and reliable. I always have three with me during wedding day shoots and they communicate well with one another so you can use them creatively from multiple different angles. They’re great for all types of low-light environments (where flash is allowed and ambient light isn't enough), and can easily be mounted on a monopod light stick (held by my assistant) for more compelling off-camera lighting. Please click on the image above or this link to purchase the Canon 600EX-RT Speedlite Flash. This transmitter is used to trigger my 600EX-RT Speedlight flashes, with a remote control that attaches to the hot-shoe mount on the top of the camera body. It can control the ratio of power and what to turn on/off, which is great when you’re managing multiple flash units. The only thing that I think could be improved is an Auto Focus assist, as there is no red light to help focus in low-light conditions. But apart from that, this transmitter is very reliable! Please click on the image above or this link to purchase the Canon ST-E3-RT Speedlite Transmitter. These top-of-the-line rechargeable batteries from Amazon are ones I can trust, to charge all my lighting equipment (flash and video lights). I’ve been using rechargeable batteries right from the start, and they not only save me money but are a more environmentally friendly solution. They’re not as powerful as brand new batteries, but they can be reused for several years and several dozens recharges. Please click on the image above or this link to purchase the AmazonBasics AA High-Capacity Rechargeable Batteries. This thin, rectangular pack can hold 8 AA batteries and attaches to the external battery compartment of my 600EX-RT Speedlights. This allows for a faster recharge when using flash, something that is absolutely necessary when capturing moving subjects on a low-lit dance floor during wedding receptions. I need to be firing off lots of flash at multiple times and may not have the opportunity to replace dead batteries. This battery pack does the job of prolonging the battery life of my flashes. I actually have two of these battery packs, one attached to the main flash on my camera body, and another attached to the monopod of my off-camera flash unit. Please click on the image above or this link to purchase the Canon Compact Battery Pack CP-E4N. This super light (carbon fiber) monopod portable is used to support one of my Canon Speedlights for situations where I wan off-camera flash lighting on my subjects. It’s basically a stick that extends to around 6 feet (and contracts to less than 2 feet), with one of my compact battery packs attached using velcro. This allows me to capture creative photographs, particularly during nighttime shoots, with the help of my assistant or second shooter who holds the monopod for me. Please click on the image above or this link to purchase the Manfrotto MM290C4US 290 Carbon Fiber Monopod. These super cheap LED lights are great - both reliable and easy to use! They’re ideal for capturing details shots at the reception (i.e. cake, centerpieces, table settings), as well as jewelry during the getting ready. They’re particularly useful in environments that are a little dark, but using a flash would just be too bright and kill the ambient light. They have a daylight-balanced temperature (which can be warmed up with a gel), increasing the exposure of the subject while maintaining the ambient light in the background. I either have an assistant hold these LED lights or attach them to a light stand and if I lose or break them, they’re not expensive to replace. Please click on the image above or this link to purchase the NEEWER 160 LED CN-160 Dimmable Ultra High Power Panel Light. I use these light stands to mount my LED lights (that just screw on top) and they’re hydraulic, which makes them quick and easy to both expand and collapse. I particularly like to use them during toasts at the reception when a flash is just too distracting and I want a more consistent daylight-balanced light source on the subjects. Also, if my assistant isn't nearby and I need some flattering light on a dimly-lit cake or dessert table, then these stands hold my LED lights for those details shots. Lastly, I put these light stands along the edge of the dance floor, adding some constant fill or even backlight to the images. Please click on the image above or this link to purchase the Manfrotto 1052BAC Compact Stand.